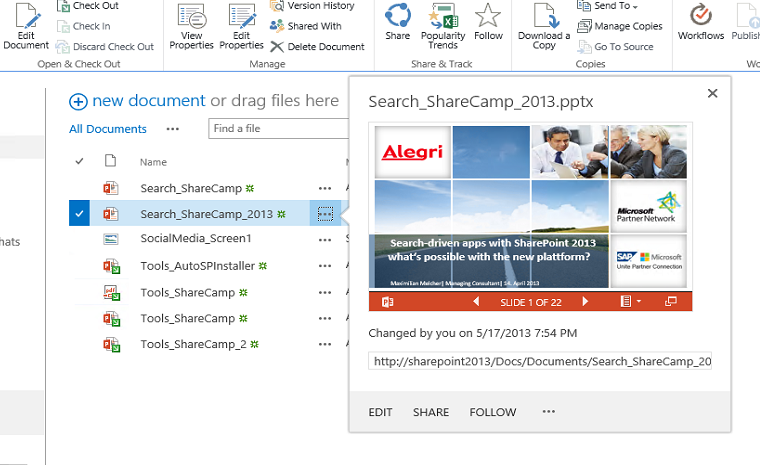 Preview of Office Documents (this includes PDF) is a huge benefit when you are searching for information – you can quickly identify if the document is the one you are looking for or skimming/scanning a document efficiently. To get the preview up and running you have to install Office Web Apps 2013 – PDF preview was added in March Public Update 2013 – that’s great, many clients have asked me why there is no support in the 2010 stack. 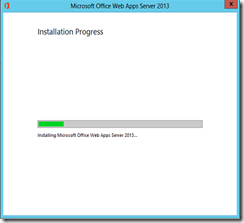 But its 2013 – so let’s install Office Web Apps 2013 for SharePoint 2013! 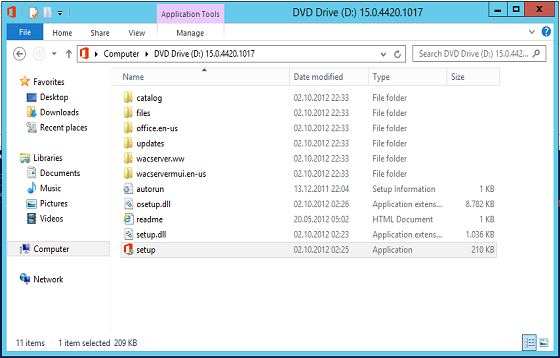 I did the following steps on my SharePoint 2013 DEV environment. The SP2013 environment was already on March PU because of the awesome AutoSPInstaller/AutoSPSourceBuilder combo. As host I used a virtualized (Hyper-V) Windows Server 2012 with 4 cores and 5gb RAM on my Notebook (Lenovo W520). You can’t install Office Web Apps on a SharePoint or SQL Server. Additionally the SharePoint Server has to use claims-based authentication. Read all the requirements here. Note: For PreRequisites of Server 2008 R2 read the technet article. If you can not install KB2592525 read this blog post by Markus Nöbauer. 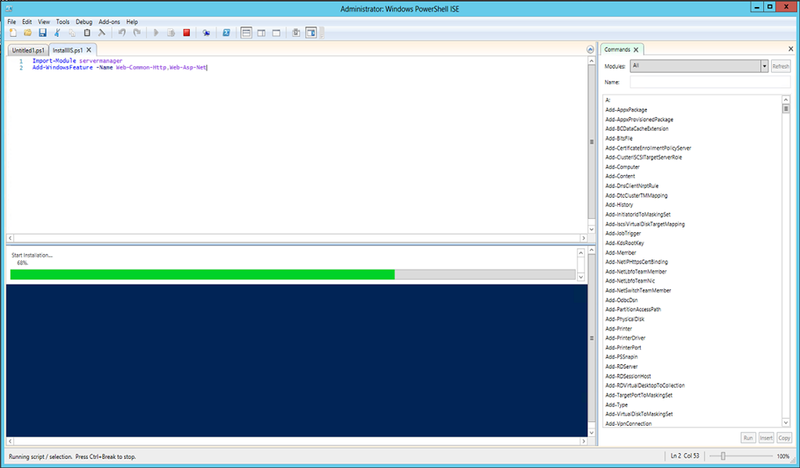 PowerShell addicted - starting to automate the PreRequisites installation. The installation is quite simple, hit next several times – nothing magic here. 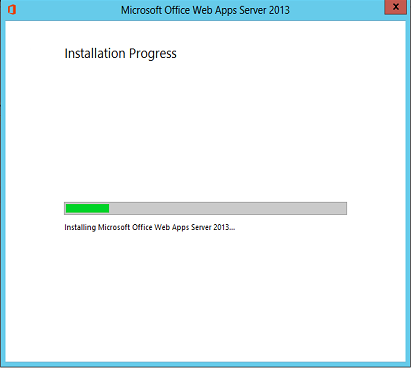 After the installation just copy the OWA March 2013 PU on the box and install it. Again, an easy task. Two commands and the two are coupled - great. A picture is worth a thousand words - I like the preview. Wictor wrote a nice article about how to enable the PDF-Preview - if you followed my guide you do not need to enable it, it’s already set. The only part that is missing is the Display Template. $rule = get-SPEnterpriseSearchPropertyRule -PropertyName "FileType" -Operator "IsEqual"
There is one managed property containing the link how to embed the preview of the document - this one is built during a crawl. So just do a full crawl and everything should be set. Questions, comments or feedback, just hit the comments!